When you hear of difficulties, delays, errors, or mind-boggling questions, please RELAX. Remember: You are not the only one affected, because a lot of you took the exam. So instead of getting angry or stressed, please relax, pray, and trust that the PRC examiners will take all these factors into consideration. Please relax and wait for the examiners to make an official announcement. Now after they make the appropriate announcement, then that’s the time you can adjust and make a professional response. And not a second before. In previous years, a lot of people were understandably upset about the REB Exam questions on Ecology. Fortunately, there are also a lot of people who waited for the results to be announced first. 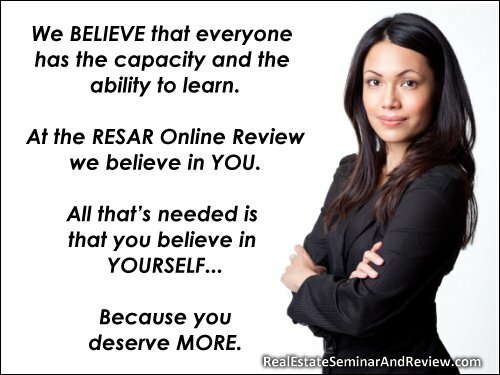 If memory serves us right, the percentage of those who passed the REB Exam was one of the highest in the history of real estate brokers’ licensure exams. just wanna ask how to get the PRC’s Real Estate Brokers Exam.. I have no background in Real Estate, and my course in college is not related in the said field. is it possible to still take the Examination? Yes the first and second part of the exam was easy but the third one is quiet difficult since unlike last year it did not focus on the ecology subject but more on appraisal. The terminology is more on financial terms and more on current events which is not tackled during the review. The exam was fair this time unlike last year…. And many are now reading about ecology since it was a nightmare topic last year’s board. [From the Admin] By the way, we heard that the percentage of people passing the 2011 REB Exam was one of the highest in the history of REB Exams. I filed for and took the exam in Baguio out of convenience, but I am engaged in RE in Manila and so took the review there. Somebody told me that the 2nd exam in Davao started at 3pm already. We started the 2nd exam at 1:30 pm (1st at 9am and the 3rd at 4pm), so we really did not have to wait for Davao. As a result, many of us were already so hungry while taking the exam (resulting in headaches, and indigestion). Remember, we had to eat breakfast at around 5am, if we ever took one. I am also obviously kinda hoping for due consideration(s) from the PRC even if it takes an additional 1 day delay in announcement of passers. [From the Admin] We’re surprised to find out how late the first exam started. Hopefully, with all the inconveniences the examinees went through (and since it was not the fault of the examinees), the examiners will provide some form of leeway during the grading of the exam. the exams started quite late and ended right into the evening. it seems that the test questionaires for davao group did not arrived on time and prc only starts the examination simultaneously with all testing centers. so those taking the exams in manila and cebu had to wait for davao to get hold of the questionaires. according to my bubwit, the first and second part was easy but the third part was difficult. any comments? Be thankful for issues or difficulties which are beyond the control of the examinees. Since it is not your fault that the exams started late, we can reasonably hope for additional consideration from the examiners.